Ae thing that fashes me aboot novels set in Scotland is aften the wersh langage. It’s like braid Scots is censored oot. Turns oot thon isna faur aff. Here some thochts frae a Aiberdeen-bydin scriever. “So when, naturally enough, I made some of my fictional local coppers speak with an Aberdeen accent, my editor in London put me straight right away. 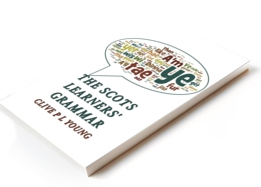 ‘Fa ye spikkin till?’ (To whom are you speaking?) and ‘Fa’s ‘e loon?’ (Who is that boy?) would mean nothing at all to anyone south of Stonehaven and her suggestion was that I should restrict myself to letting the characters say ‘Aye’ to indicate that they were Scots“. As ye ken there a nievefu o novels scrievit haillie Scots, an thoosans an thoosans o Scottish novels scrievit in English. Nae harm in aither, wid like tae read mair o the former. But whit A’m seyin is Scots is spoken (maistlie) in a mixter atween the twa an thon, in ma readin onieweys, isna representit awffie weel in the leeterature o the kintra. The Scots vyce is bein suppressed – oot o ignorance or censorship – an the ootcome is we dinna hae a verra ‘authentic’ leeterature. ‪Janet Paisley‪ Publishers are in business to make profits or they’d rapidly be out of business. Writing in Scots, which I do half the time, means a book won’t sell, not even in Scotland. Readers open it, see text that looks foreign and unfamiliar, and put it back on the bookshop shelf. Few publishers will risk a second one. Books that are commercially successful, like Anne Donovan’s Buddha Da, are in compromise forms that make them readable for English speakers. There is only one commercially successful writer who uses more than minor indicative Scots, Irvine Welsh, and a play and film boosted Trainspotting to the point where he acquired a following readership large enough to secure further publication. Also being brilliant writers helps, of course. But a language that won’t be read, even by its speakers, is never going to be wanted by publishers. Small publishers produce some because Creative Scotland funds literature in Scots which allows them the luxury of indulging an unprofitable minority interest. Even if the whole book-buying public in Scotland had learned to read Scots and was willing to buy it, bearing in mind folk only buy the types of novels they like, the sales figures would not impress major publishers enough. They’d still want English translations. …My own fairly-readable-Scots novel, Not for Glory, brought me an avid fan from Kent who’d never heard Scots spoken, and had never read it before, but she took the time to work it out, and emailed me when she got stuck. But most readers don’t consider making the effort – that’s not why they buy books. If they sold, publishers would publish them, and we wouldn’t be discussing why they don’t. ‪James McConnell‪ Maybe we need a Scots Writing Group where we can connect with those writing in Scots. I’m planning to start a publishing company focusing on Scots so maybe subsidy is not as important as people taking the risk and doing themselves. Most publishing houses won’t take Scots. The more printed the better, there will be a natural tipping point at which it becomes viable. ‪Janet Paisley‪ I liked your post, James. Didn’t mean to sound grumbly just sharing the experience. When I write in English it can sell around the world, but not Scots, not even if they’re going to translate anyway. It really is a tough sell, a labour of love. ‪Sally Evans‪ but the more Scots gets published, the more people will accept it . I’ve been told that Americans will read dialects much more readily than English people will. they are not even used to reading things written down as Geordie, Scouse or Cockney, so we can hardly expect them to read things written in Scots, which is of course another language but often behaves like a dialect in novels. (by which I mean, it is inserted into a text which is mainly in English because people in the story are speaking like that to English speakers around them. the phrase “editor in London” is the key to what happened in Clive‘s anecdote.